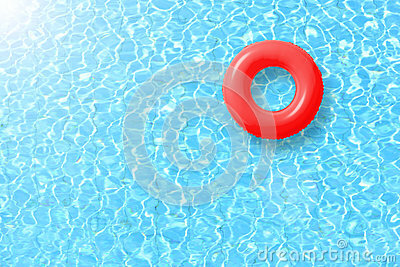 Red swimming pool ring float in blue water and sun bright. Red swimming pool ring float in blue water and sun bright. concept color summer.